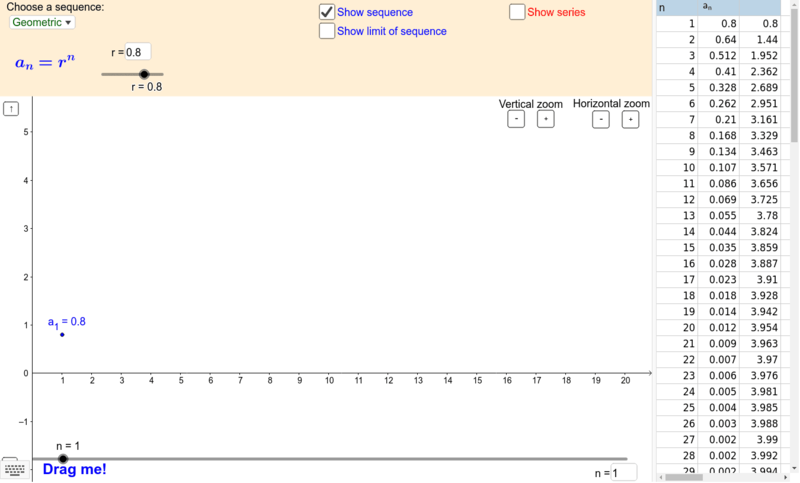 This applet explores some important sequences and series.
? Click 'Show sum of series' to check.